In the new wave of tech-improvements, exciting facilities are at your disposal. Without a doubt, you rely on technology for a major part of your life. From the latest updates on Artificial Intelligence to incredible educational apps, you have everything. Even your restaurant industries and food service chains get the benefits. Why should Robots in construction industry not be a thing? The construction industry is indeed a challenging field. You need massive capital investments. On top of that, you need a team of highly skilled workers. It’s often difficult for you to maintain these two variables. Therefore, technology is trying to make construction more comfortable, safer and faster. Robotics is your most likely answer. 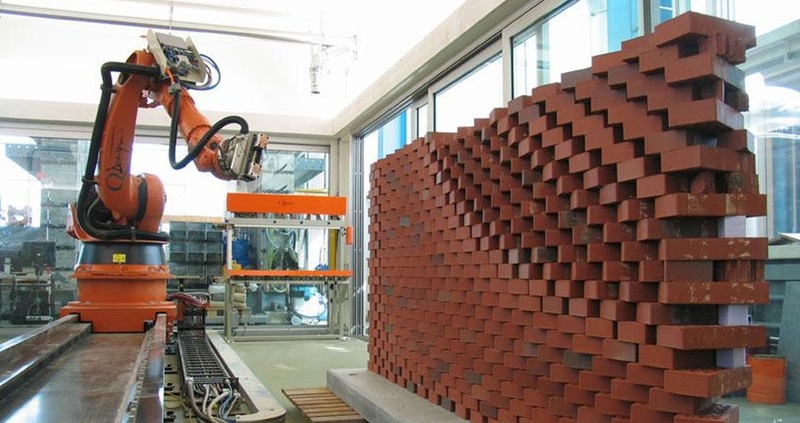 Imagine a robot laying down the bricks of the foundation of your building. Well, it’s not an imagination anymore. In fact, Robots in Construction Industry are bringing in incredible changes. Unfortunately, construction industries need continuous effort and investments. On top of that, your demands for construction services keep rising. For successful operation, you need a considerable number of experienced laborers. Occasionally, your workers go on a strike or demand an unreasonable raise. You want to avoid these additional costs. Moreover, it’s difficult to find people who can operate a particular machine correctly. Also, you get slow results with manual labor. If you are losing time, you are missing a whole lot of money. Therefore, you are desperately looking for a way out of this. Good for you, robots are bringing some revolutionary changes to help you out. Let’s have a look at what’s happening. Noah Ready-Campbell certainly wants to make construction smarter and faster. He wants to replace manual labor completely. With this idea in mind, he created a company called Built Robotics. This California-based firm makes exceptional technologies that will come as a boon for the construction industries. Admitted, Noah got frustrated with the regular issues of the industry. Thereby, he left his high profile job at Google and set out on his journey with robotics. Built Robotics is indeed a significant part of the latest surge in automation. By using self-operating robots, you get to cut down on costs significantly. No, SAM isn’t some regular guy. SAM means much more to the construction business. Semi-Automated Mason(SAM) is a savior in the disguise of a robot. To begin with, SAM can lay over 3000 bricks in just 8 hours. That gives a much higher work efficiency compared to the human counterpart. Compared to humans, SAM works about 500% faster. You will fall in love with this fascinating machine. However, SAM doesn’t function independently. You need to load the bricks into its conveyer belt. Once it achieves complete automation, you won’t need a costly supervisor anymore. Several construction businesses are using drones for measuring materials. Mike Moy, the head of a mining operation, uses drones to make things easier. These machines can measure materials on a 36-hectare land in under 25 minutes. Surprised? You might think that all your troubles in the construction business are about to end with Robots in construction industry. You are partly correct. However, the inception of robots into the industry is not a “no-tears” story. With automation, you are entirely ruling out the need of your workers. Although a one-time investment sounds attractive, it’s not good news for your employees. On the other hand, malfunctions in the robots will cost you a massive amount. You have to ensure proper maintenance of these machines continually. To be honest, “man or machine” is an excellent topic for debates. However, the reality is different and often difficult to digest. Ask yourself. What will you prefer? A set of skilled yet slow laborers or fast robots? Speaking the truth, robots in construction industry are a great addition to the process. You get guaranteed fast results and precision. In the face of increasing consumer demands, robots are a gift from God. However, the economy might suffer on the whole. In fact, a lot of people will lose their jobs. You can either embrace the change or walk away from it. Are you willing to replace man with machines? Make your conclusion.